Welcome to the ophthalmology office of Kelly S. Keefe, M.D. At our Hillcrest, San Diego state-of-the-art eye care practice, our mission is to preserve, restore and enhance the vision of every member of your family. For over 20 years, Dr. Keefe's ophthalmology office has committed to providing compassionate and personalized eye care to the residents of San Diego, California. Call today at (619) 894-7711 to schedule an appointment. medical eye examinations and advanced medical and surgical treatments of the eye. In addition, our office is happy to provide a contact lens fitting service and a complete optical boutique. Our team of friendly and dedicated professionals are committed to providing expert medical care using the latest technology and advanced training in a comfortable and relaxed atmosphere. We will do everything possible to make your visit an exceptional and stress-free experience. 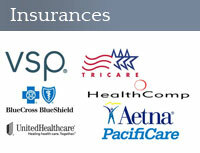 We take the time to explain your condition and treatment options. We will guide you through your entire treatment process and answer any questions you may have. Our staff is very attentive to the individual's needs and we treat our patients with those needs in mind. 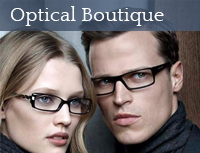 Providing Quality Eye to the resident of Hill Crest and San Diego California for over 20 years.